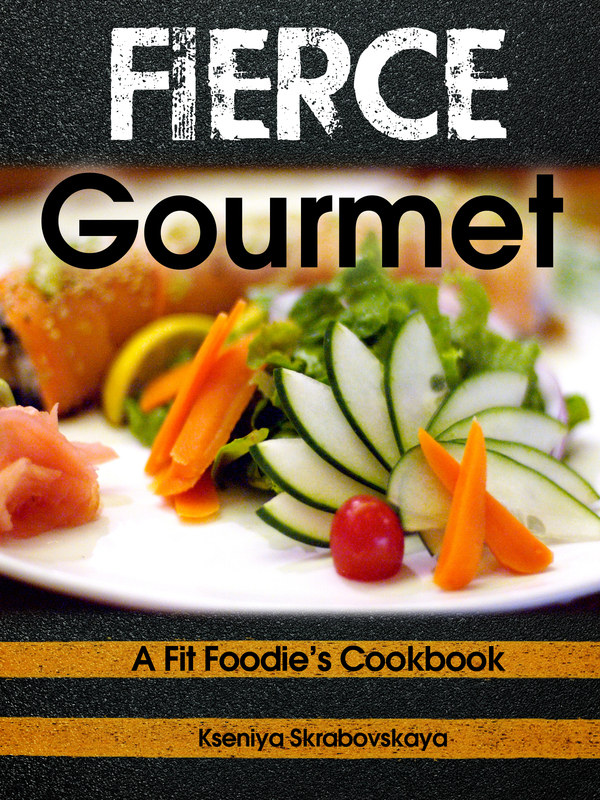 Fierce Gourmet: A Fit Foodie’s Cookbook is a fit foodie’s guide to demystifying healthy eating and building a life long, healthy relationship with food. I discovered my passion for cooking right around the same time as I discovered my love for fitness. Nothing makes you feel more alive and in the moment as a new PR and an amazing meal. Quickly realizing that my love for gourmet food and my love for fitness can’t coexist, I had to do something. For years I studied, read, and practiced various preparation methods and techniques, took cooking classes, and searched for places to procure clean, organic meat and produce. As a result of my obsession with flavor and the need to maintain a lean and strong physique, I have developed hundreds of recipes that were beneficial for my health and for my abs, not to mention supported a number of local farmers. Last year, when I started Fierce Miles, I had a bright idea: why not write an actual cookbook? Today the cookbook is available at most major eBook providers such as Amazon, Barnes and Noble, Apple, and Sony as well as right here. For more information about this book visit our FAQ page and Introduction.